Our Shakespeare family is growing! 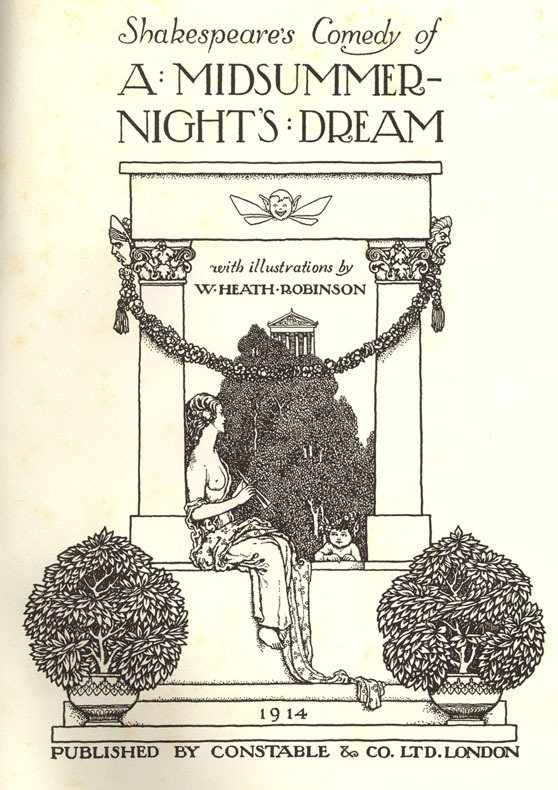 This week, we received a copy of A Midsummer Night’s Dream with illustrations by W. Heath Robinson! Sure, sure. We know you already know the play, but do you know this illustrator? 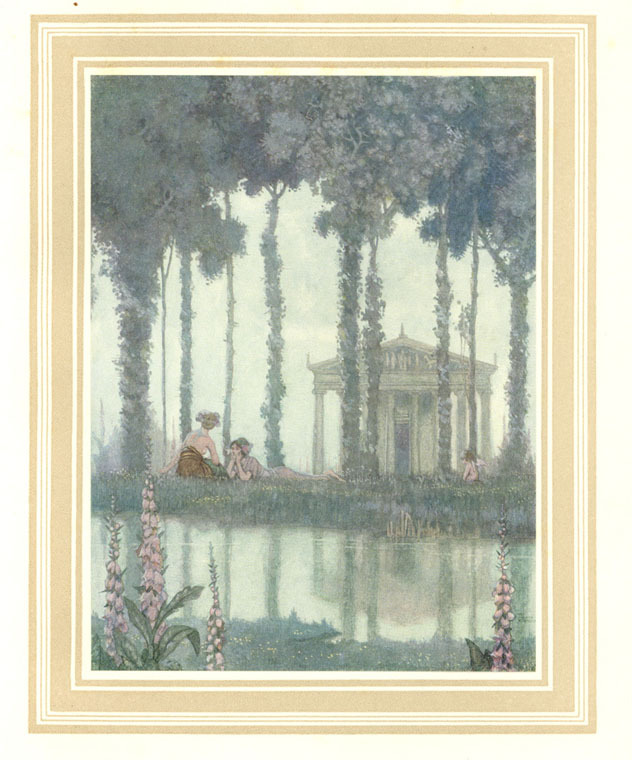 Heath Robinson (weird that he goes by his middle name, especially when it’s also the middle name of one of his brothers) was born to illustrate in May of the year 1872. Even if he hadn’t had any talent, some form of artistry was surely expected of him. His father and both of his brothers all worked as illustrators. Heath, himself, aspired to paint landscapes. Why, I will never understand. Fortunately for us book lovers, he found little success with that venture and thus was born another illustrator to the Robinson family. Although he did work on multiple books and created a few of his own, what Mr. Robinson is most well-known for is the absurd machines he thought up in his time. A witty and satirical fellow, his machines were intricate, but ultimately not very purposeful. For example, one of his machines was to remove warts from the top of your head. Now, I am certain that might be useful to one in one hundred people, but not enough for the machine to be produced. It was not the usefulness of his sketches that drew attention. It was the creativity and insight that went into them. To this day, inventors are being inspired by his works. I only just learned of this man today, but I too am inspired by him. Any time the world can find and appreciate a person who is willing to share their weirdness with the world, I get excited. Robinson was before my time, but I am going to choose to think of him as a kindred spirit to Dr. Seuss; coming up with ridiculous tools and notions that entertain people for decades. 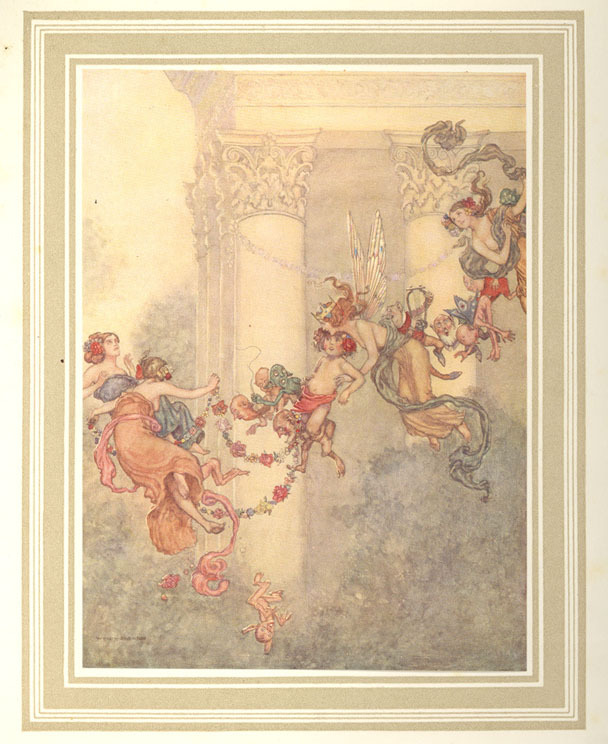 His work in A Midsummer Night’s Dream isn’t cartoonish, but there is a definite sense of whimsy captured. Stop by some time to take a look! This academic year, the Archives & Rare Books Library is joining the rest of the world in celebrating Shakespeare’s 400th anniversary of dying (though it isn’t as grim as all that!). To discover more about our Shakespeare holdings, please visit us on the web at http://www.libraries.uc.edu/arb.html, email us at archives@ucmail.uc.edu, or call us at 513.556.1959. We’ll do our best to have you come in (808 Blegen Library) to do research and use the materials in your courses!